Select which objects sink and which floats in water. The physics online tets are small flash applications, up to 1 MB, including questions and answers for evaluating pupils and students in physics classes, as well as for personal examination. Fun physics quizzes about physical properties of objects with integrated evaluation system. Interactive knowledge boards, suitable for online classes, school lessons and home education. Aslo completing every class test the knowledge level is increased. Physics testing tools. 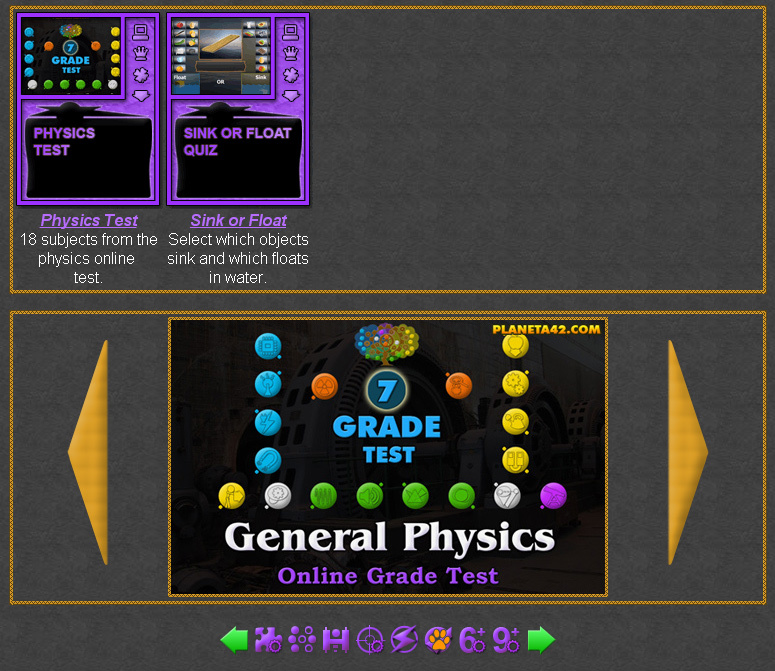 Interactive Physics Workshop - Online Tests. Additional fun applications for evaluation in physics. Fun Physics Tests Collection. 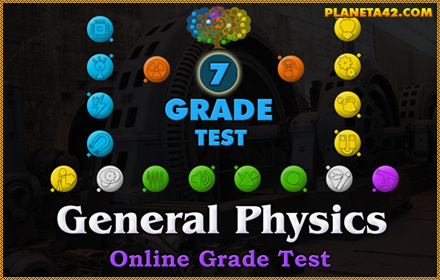 General Physics Test - 18 questions online test with evaluation system. Sink or Float Quiz - Select which objects sink and which floats in water.